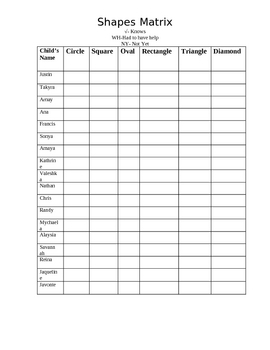 I use this matrix to assess my students on their shapes. Enjoy!! !